I declared my love for the Black Dagger Brotherhood series in this blog a while ago. That hasn’t changed. The latest book, Lover At Last, number 11, came out (you’ll get the pun later) a few weeks ago. For anyone who has read the books, they know that for many readers this one was a long time coming. Each book usually focuses on one of the ‘brothers’ or someone in their world and then has another story arc or two going along side it. This book was about the long-awaited (for many) love story of Quinn and Blaylock (Blay). The twist on this pairing–Quay as devoted fans call them–is they are gay. While both are warriors within the Brotherhood, this book was not a heterosexual story–and for me, that was tough. All of the books are known for being steamy, to say the least, and this one, while a bit tamer, did not disappoint in that area–but it was male on male. I found that I did not enjoy this book as much as most of the others. I applaud J.R. Ward for giving readers what they want and for tackling the tough subject matter. I think she did an exceptional job staying true to the characters, story lines, and her writing style. The tender moments between Quinn and Blay felt real, as did the way J.R. Ward incorporated their long history. I also think she knew that she was heading into touch territory (no pun intended). As such, I think J.R. Ward tried to over compensate for the readers that were not as appreciative of the gay romance by adding significantly more story arcs than normal. This book had not 1, 2, or even 3 other story lines going on, it had 7; yes, SEVEN–in total. On the whole, this book was not one of my favorites, but I am excited for what’s to come. I do miss seeing more of the brothers and their interactions because quite frankly, they’re hilarious and I love them. This book also strayed from the action and fighting we usually see with the Lessers; which normally, I can do without but, come on, this is about a vampire war going on. 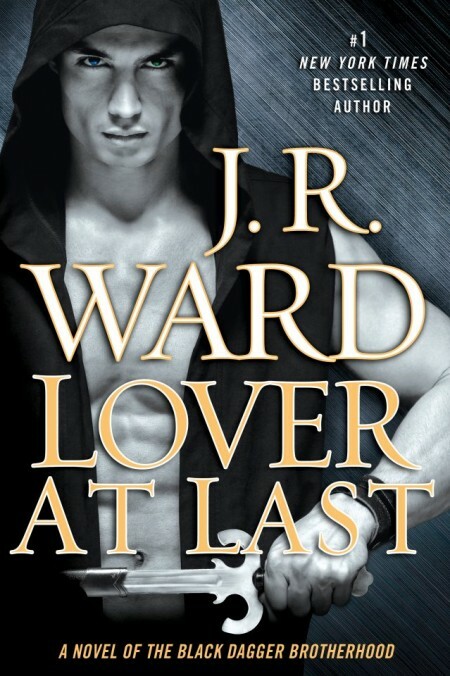 J.R. Ward has done a great job of keeping the series fresh, adding new characters, extending story lines, and keeping her loyal and devoted fans wanting more. I didn’t devour this book in 2 days like I’ve been known to do with this series, but 2014 and the next installment can’t get here soon enough!